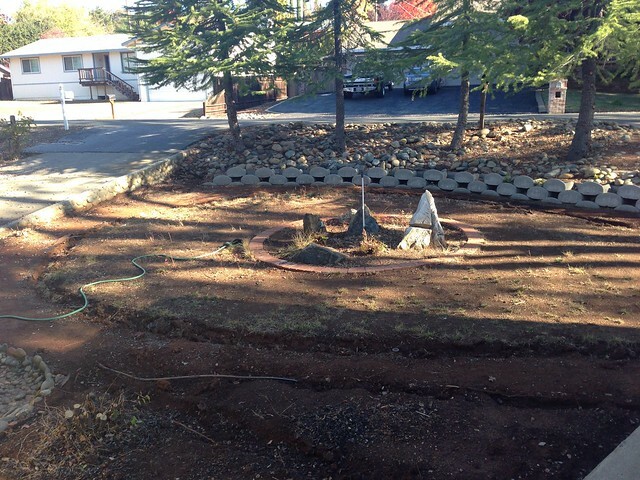 Joshua and I have made some major progress with the yard these past couple of weekends. To start, last weekend Joshua’s adopted father in-law came over and helped us remove both the random brick patterns and the cement horseshoe. We removed the brick from the yard primarily because it blocked the natural walking path from the other driveway to the front porch. 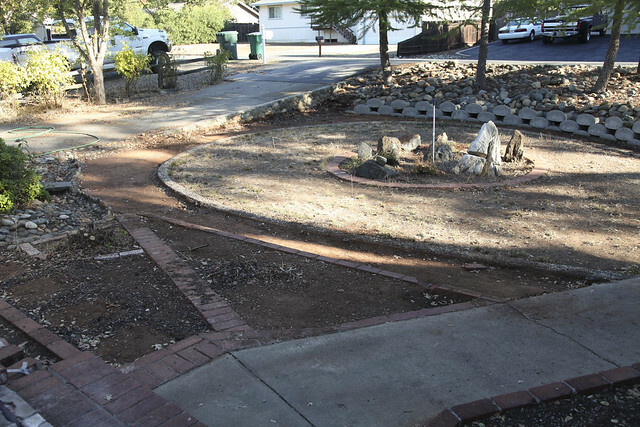 The cement horseshoe served absolutely no purpose, so we were not at all sad to see that go. 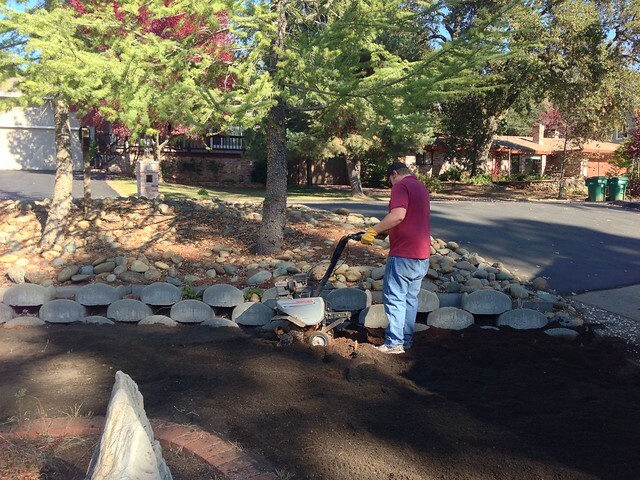 Last week we spent every evening watering down the yard in preparation for the tilling we did this past Saturday. 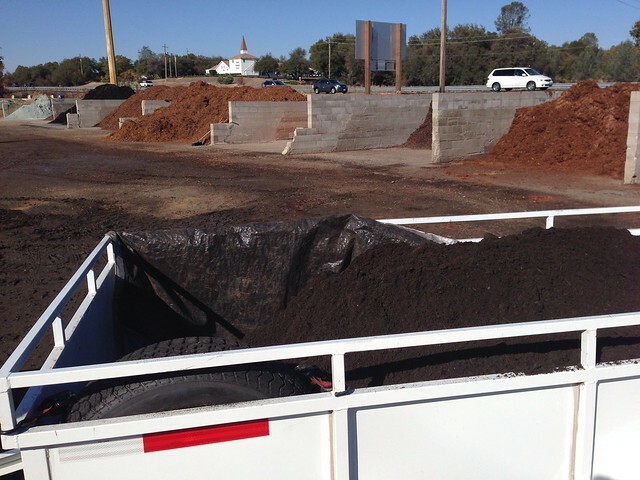 We started the morning by loading up the trailer full of compost from the local landscape materials place. Then we brought it home and spread it out evenly over the entire yard. Next it was time to till! 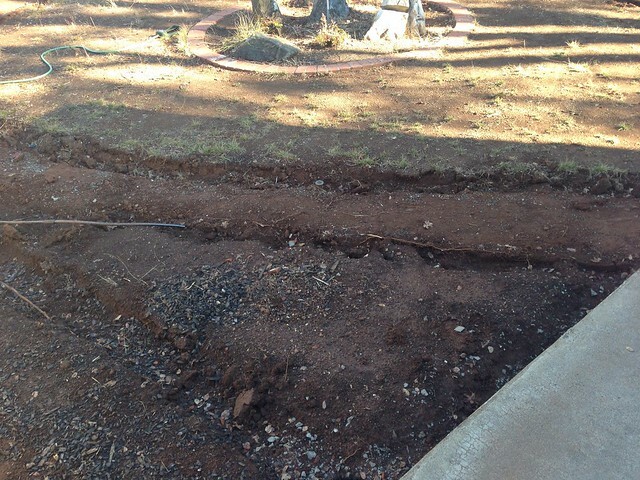 We borrowed my dad’s tiller and did two rounds of tilling. 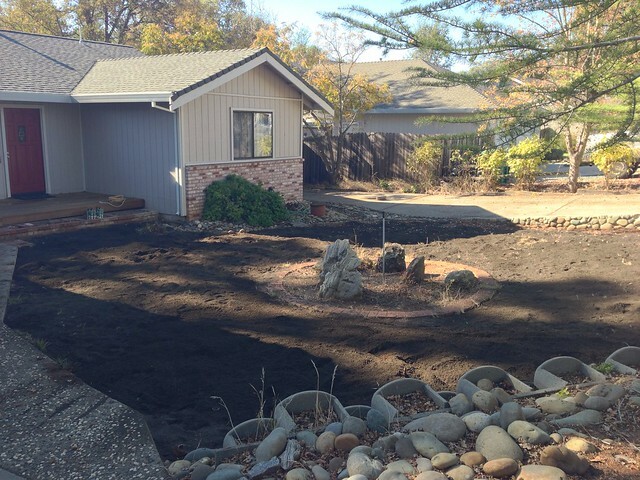 Yesterday we finished it off by renting a stump grinder from Home Depot and got rid of the two tree stumps in the yard. In addition to that my brother in-law came over to help us fix the front steps. 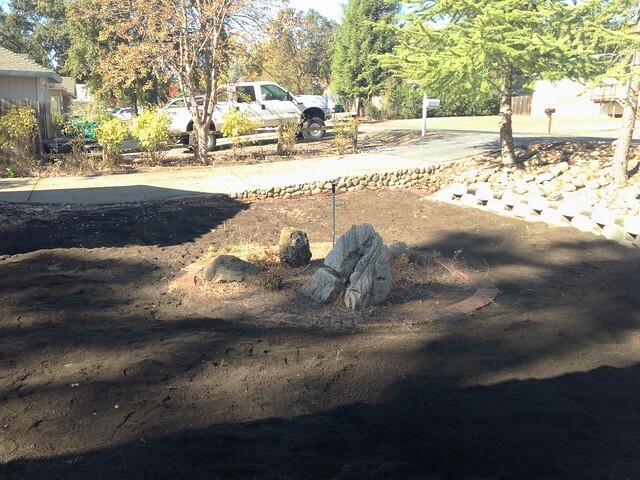 We’re now at the point where we’re ready for irrigation and then sod!